Build fancy decors with the material you have put in home trash store! Here this outstanding DIY pallet birdhouse for garden has been made using a steel spoon, an old vehicle number plate and some of pallet wood leftovers! It can be hanged beautifully on a garden pole to attract your favorite chirping creatures to your green space, can be hanged on a garden tree also! Here body of the birdhouse has been composed of small pallet wood pieces, cut and modified according to requirements, then old metal number plat has been folded a little and has been installed as chevron roof to pallet made birdhouse! Here idea for the perch is really outstanding and unique, a steel spoon has been fixed as fancy perch by getting twisted in L-shape first, it has been installed to wood medium using a screw in the center! 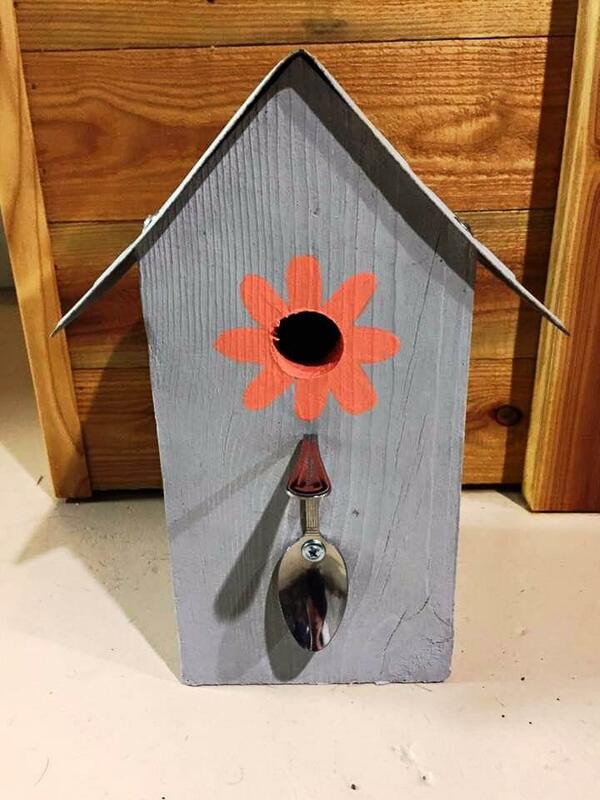 Finally this hand-built birdhouse has been personalized with an orange flower made around the main birdhouse hole! 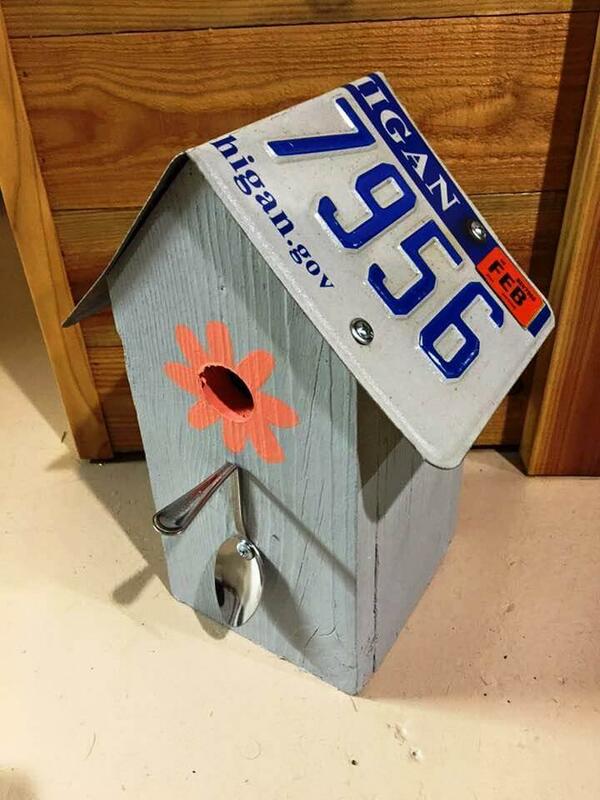 Old home materials have been turned into a fantastic wooden birdhouse! Here used pallet wood remains have been painted in grey! Your garden birds will really it very much, you can build a set of such a birdhouse for never ending chirping music in your garden!